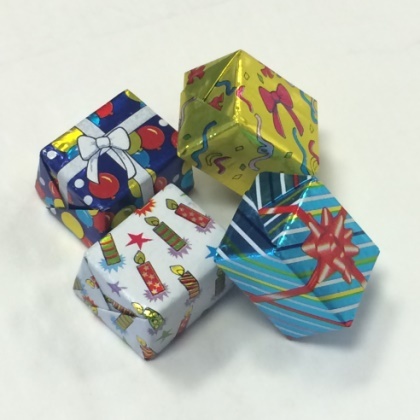 Milk chocolate solid shaped mini gift boxes wrapped in bright festive foils. 16 presents per bag and 1 inch long. OU Kosher Dairy.